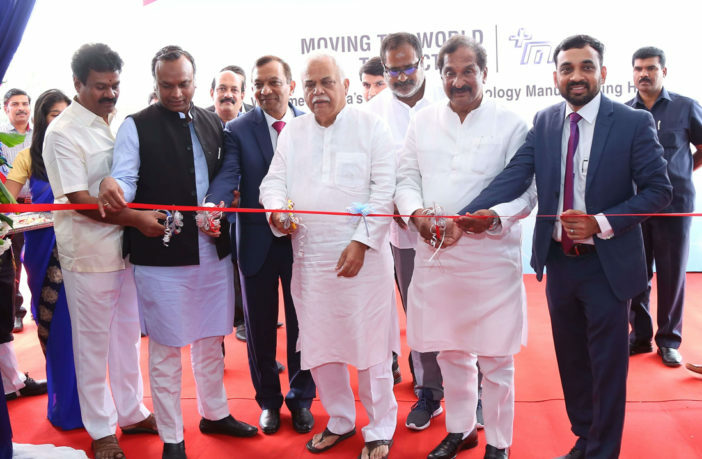 Mahindra Electric Mobility, part of the Mahindra Group, has inaugurated its first Electric Technology Manufacturing Hub in Karnataka, India. The new facility, located in Bengaluru, will (Mahindra states) revolutionize the way electric vehicle technology will be used in India, and falls under Mahindra’s +ME brand. The facility will manufacture battery packs, power electronics and motor assemblies; will operate in line with global standards of manufacturing; and will increase Mahindra Electric’s manufacturing output to 25,000 units per annum. The facility will create additional direct employment of around 200 people. “As the pioneers of electric mobility in India, Mahindra is poised to be at the forefront of the electric vehicle revolution while spearheading the endeavor through its range of clean mobility solutions,” said Dr Pawan Goenka, managing director of Mahindra and Mahindra and chairman of Mahindra Electric. “At Mahindra Electric, our aim is to bring about a monumental change in the way India moves by enabling more EV products on the road through our +ME technology solutions,” added Mahesh Babu, CEO of Mahindra Electric. Mahindra Electric also announced its first electric three-wheeler range – the Treo and the Treo Yaari electric rickshaw. The Treo project uses a Mahindra Electric-developed powertrain and will include a lithium-ion battery system.